Recently we were contacted by Alex Kutsenok of Dreamspike Studios with information that “Bronze” was released! Moreover – it was reviewed in one of the biggest USA games magazine – PC Gamer #210 (check out page 74) and currently it’s gaining a lot of positive reviews from strategy lovers from all over the world. While “Bronze” can look somehow outdated and simplified nowadays – it really delivers on strategy side of things and has this nice retro-felling of old good games. 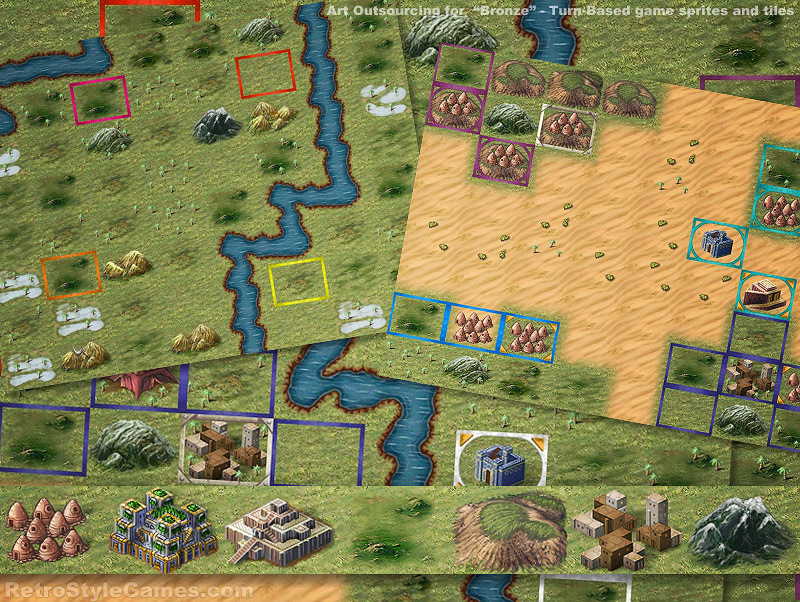 We have created big amount of seamless game tiles for Bronze to have enough assets to build game map. There are more than 10-20 variants in each category: sea tiles, rivers, deserts, deposits, buildings, bridges and misc environment objects. The hardest thing was to keep everything seamlessly tile-able and to build enough variations to natural tiles and their combination. Also we have created more than 10 different buildings and other structures for player to choose from. In final “Bronze” game seems to have enough personality to stand out! In “Bronze”, from Dreamspike Studios, gamers have a chance to rewrite history. 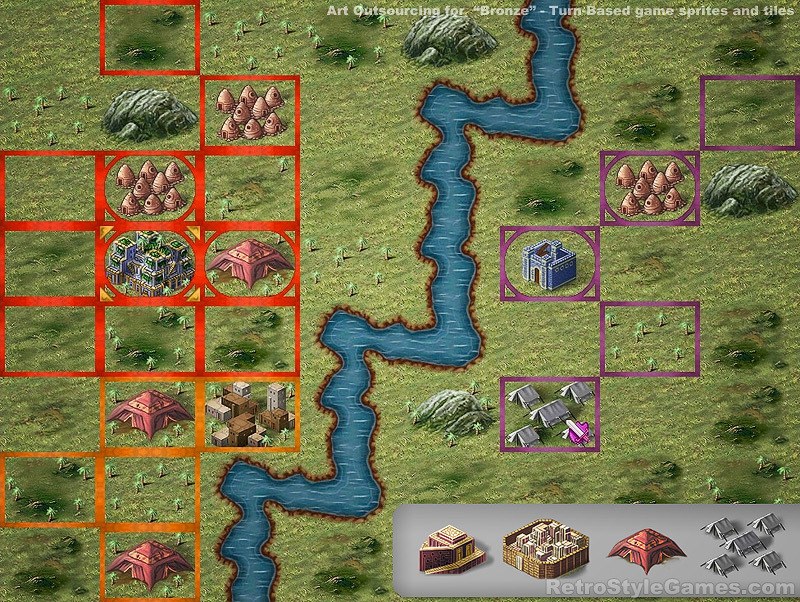 As supreme ruler of one of twelve historically based civilizations the player is charged with expanding their civilization’s territory by creating Farms, Towns, Embassies, Ziggurats, and even Armies. Construction is as easy as a click, and in no time at all your empire can stretch from map edge to map edge. But it’s another thing to learn a game by watching the AI play and having something click in my head. “Ah-ha, so that’s how you use that!” It’s been a long time since an AI taught me about a game. Strategy veterans should find a lot to like here thanks to the quality AI and unique mechanics. Bronze is a remarkably elegant design. Worth playing.